Found 5 file extension associations related to ViaCAD 2D and 1 file format developed specifically for use with ViaCAD 2D. 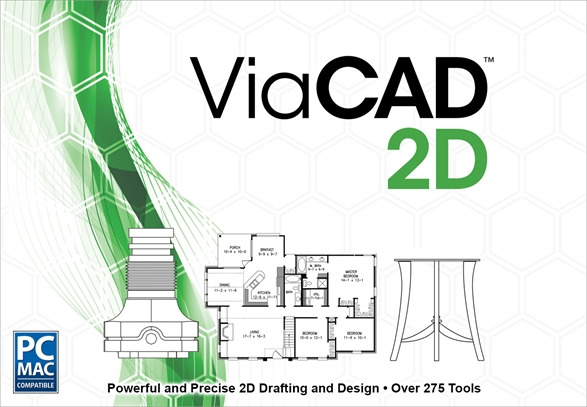 ViaCAD 2D delivers all the power you need to create professional-grade drawings, regardless of experience. A simple interface combined with video tutorials, interactive prompts, and other unique features, ViaCAD makes 2D design fast and easy. If you need more information please contact the developers of ViaCAD 2D (Encore, Software Inc.), or check out their product website.